evolved the ability to selectively move from place to place to more greatly reap the benefit of resources located elsewhere. Plant individuals largely anchor themselves to a single spot and rely on resources coming to them, whether it is water to roots, sun and air to leaves, or in the case of some carnivorous plants, flies to digestive traps. Certainly plants grow, drift, float and extend to maximize their resource gathering abilities, especially while reproducing, alas animals move with purpose unconnected to the earth, air or sea. Humans, being animals, certainly rely on transport to thrive; seeking out shelter, food, reproductive and pleasure opportunities happens most effectively when humans are on the move. And like many social animals we move to assemble groups that can work toward a purpose as a team. Indeed, humans have taken transport to a whole other level by mechanizing movement with machines, particularly with machines that are by and large powered by fossil fuels. As we well know centuries of fossil fuel use have begun to reshape the Earth's climate, causing phenomena which will cause long term destabilizing trends unless humans change the culture that we have inherited. Reducing use and maximizing efficiency are both realistic paths to help minimize our civilizations. Solar, wind and perhaps nuclear fission and fusion power have the potential to gradually replace our hydrocarbon transports. Transportation, like so many other human impact industries, is massively acculturated. Each community has a blend of personal transport and public transport options. In America we are addicted to owning SUVs, in Europe public transport dominates, in Asia bicycles crowd the landscape. Technology, from snail mail to email to skyping, has given us virtual options that can eliminate unnecessary transport. Overall, each community is capable of mindfully shifting transport to achieve long term environmental and ethical goals while still supplying our movement needs. Returning to a more primal transport paradigm may very well be the path forward. Yes it is a natural fallacy to assume that returning to the ways of the past is necessarily the best path; however, the one thing millions of years of evolution and geologic processes have going for them is a foundational global stability carved out by the eons. In regards to transport, time's trials has yielded human bodies which yearn for physical motion. 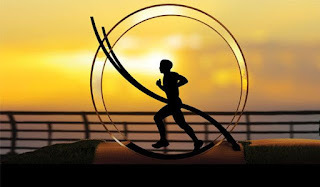 More walking, running, rollerblading, bike riding and somersaulting to destinations would not only decrease the per capita impact humans have on the Earth, it would also connect us with our evolutionary inheritance, the animal thrill and joy that it is to move! Transportation Next, Previous and Present! 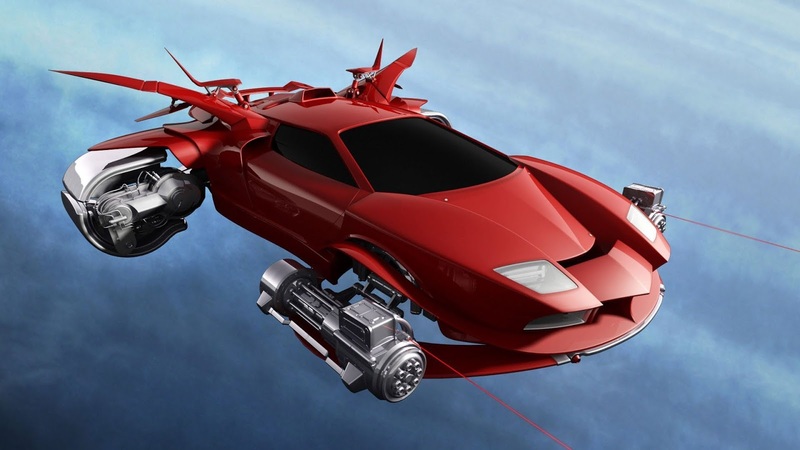 So what could human transport look like in several hundred years? Surely it will be a blend of many possibilities and perhaps as we know it transport will no longer exist. In the extreme, telepresence might be so integrated into civilization and its individuals that each person will be cocooned in an array of virtual sensory transducers, enabling instant communication with anyone else on the grid and "transport" to any location, real or imagined. A less extreme, and more desirable future might see similar technology accessed when the occasion warrants, whereas the predominant culture may be localized, encouraging walks, climbs, skates, swims and glides within gardened, small-community metropolises. As such, daily transport could be part of a globally stable planet full of thriving ecosystems and human villages, with human movement embodying a rush of self propelled motion not entirely unfamiliar to our aboreal ancestors.